Camel is universal animal, that widely used by people in desert to transport things and ride themselves. 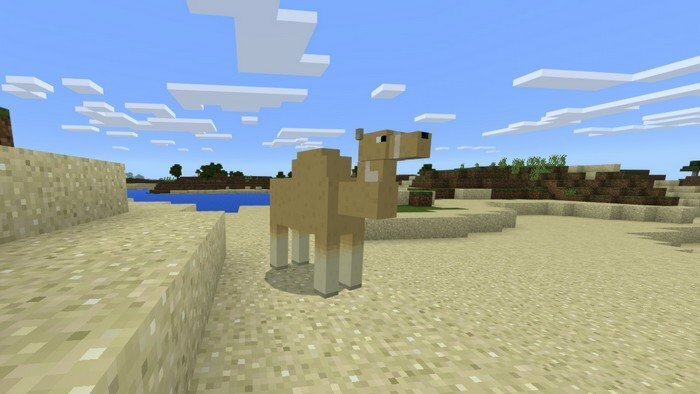 In fact, we could say that camel is analog for mule in Minecraft world. 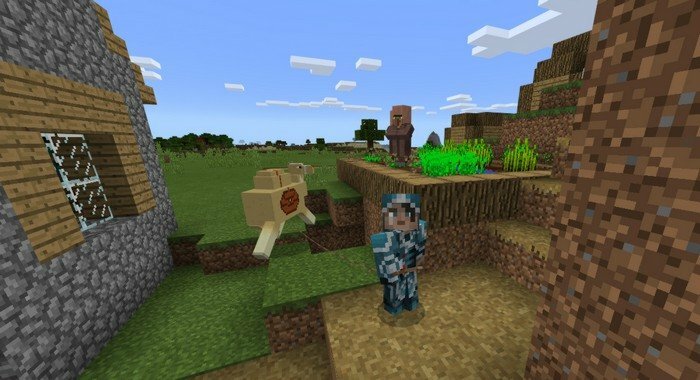 The reason why this mod still deserves your attention is the lack of animals that belong to desert. Camels are pretty stubborn animals, so don't expect him to follow you on a good will, use Lead if you want take him with you. You can't tame them, but you can use lead to force them follow you. 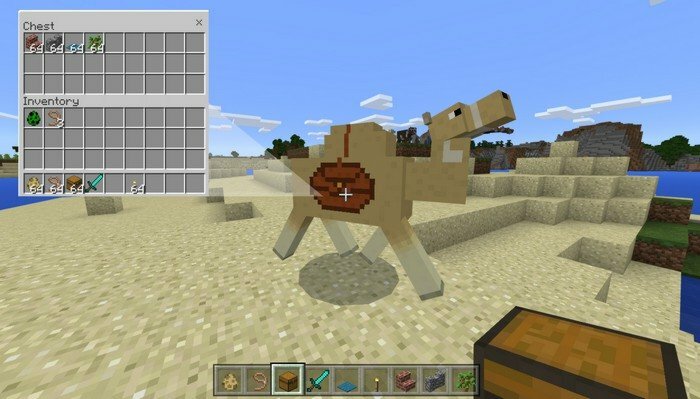 Long press on the camel while holding a chest in your hand and press "Attach Chest". Make a long press on the camel and press "Open", to reach the chest. Don't attack camels or they will spit you to death.